Ben Becker, the Houston father who helped organize a legal fight over last year’s STAAR exams, has repeatedly challenged superintendents over the last few months to join him in court to fight for their students. On Tuesday night, one school district is set to answer Becker’s call. Administrators in Marlin ISD, a rural district about 30 miles southeast of Waco, will ask the school board to join the lawsuit filed by Becker’s group in May. The stakes on last year’s STAAR exams were probably higher for Marlin ISD than any other district in the state. 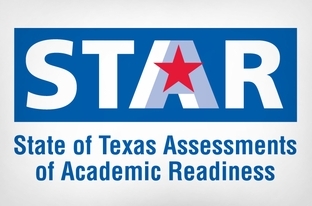 After four years of low ratings from the Texas Education Agency, the district faced possible closure if its students didn’t hit state goals for STAAR scores — and they didn’t. Seabolt took over the district in July 2015 when Marlin ISD’s situation was already precarious. He and the district’s staff worked furiously to get the schools on track to meet the state’s targets, he told the Observer, so he’s been frustrated to see TEA sidestep the Legislature’s requirements for the test. Seabolt agrees with the parents’ complaint that TEA flouted a 2015 law that should have shortened the STAAR exams. Records obtained by Becker’s group show that hardly any of the tests were completed in the time frame required by law. So if TEA goes ahead with plans to take over or close Marlin ISD, Seabolt wondered, “You’re gonna take that action based on illegal test scores?” He drew a comparison to the state’s low target for special education enrollment, which the Houston Chronicle showed this month has deprived thousands of students of services to which they’re entitled. “Why is it that TEA gets to pick which laws it’ll do and which ones it won’t?” Seabolt asked. See here, here, and here for some background. Seabolt asks a good question, for which I look forward to hearing the state’s response. And since he brought up the special education issue, I will note that as of yet, neither Greg Abbott nor Dan Patrick has seen fit to comment on the issue. Too busy with other things, I guess. I’m sure they’ll get to it eventually.